^ Williams, Stephen. 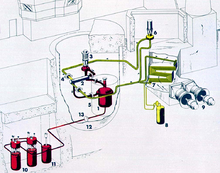 Molten Salt Reactors: The Future of Green Energy?. ZME Science. 16 January 2015 [18 February 2015]. ^ Rosenthal, Murry. An Account of Oak Ridge National Laboratory's Thirteen Nuclear Reactors, ORNL/TM-2009/181. 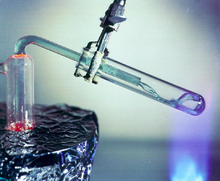 Molten Salt Chemistry Plays a Prominant (sic) Role in Accelerator-Driven Transmutation Systems. （原始内容存档于2014年5月23日）.